Dad suffered a heart attack two days after Christmas. He lived for nine more days, but he never regained consciousness. For over a week in the ICU we held his hand, talked to him, and cried beside him. At his funeral I said I felt this was a true gentleman’s final act of graciousness – to allow us the time we needed in order to accept (if not to understand why) he had to go. His prognosis was never good. He had been deprived of oxygen for too long. Looking back, I realize the doctors and nurses (especially the nurses) knew all along that dad was not going to wake up. The doctors were simply crossing their t’s and dotting their i’s – making sure they followed protocol. If I hadn’t been in shock, I’d have recognized it sooner…the expression on their faces – revealing that they knew the awful truth; they just weren’t allowed to say it. Not yet. My mother would admit only after dad’s death that she knew he had left us on December 27th. I suppose one can feel such a thing in their bones, after loving someone for fifty-five years. You just know when they are gone. She knew, but she stayed by his side – all day, every day. She never wanted to miss a moment with him. I think whether she was aware of it or not, she also wanted to afford my brothers and I the small comfort of allowing us to come to understand his reality in our own time, in our own way. She didn’t want us to see her waving the white flag. My older brother, Billy, is a realist. I wouldn’t say he expected the worst, but he felt he needed to prepare for it. To him, losing dad wasn’t the worst case scenario. Having him continue to live without the quality of life he’d have wanted, that was Billy’s emotional burden. He worried that dad would come back to us in an altered state. He often sat on the floor in the hospital corridor, reading articles online about people waking up from comas with completely different personalities – not only physically and mentally impaired, but angry, hostile (the antithesis of our dad). Billy didn’t want our desire to hold onto dad to hinder our judgement. Ryan, on the other hand, spent time reading about people who simply woke up, as if nothing had happened to them but a long nap. He wanted to believe in miracles. To be clear, we all wanted a miracle, but Ryan, he hoped for it with such a raw desperation; it was both beautiful and excruciating to watch. I wanted to believe, too. I never wanted to leave dad’s bedside. At first, this was because I wanted to be there when he woke up, but after the hawk came (yah, you read that right), I didn’t want to leave because I wanted to be there when he died. One morning before dawn I was sitting on a metal folding chair beside dad’s bed in the ICU, holding his hand and resting my head on his bed. I’d say I was dreaming, but what happened was too visceral to be a dream. It was otherworldly. 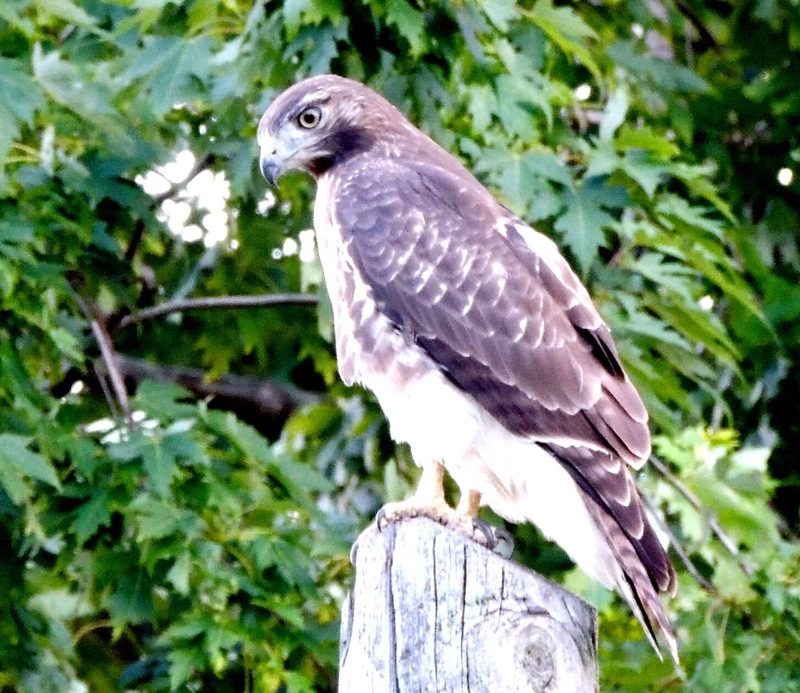 A hawk swept over my head, wings outspread. It flew so close to my face that I felt its feathers brush against my cheek. I believe the hawk was in fact a messenger from the spiritual realm (if not dad’s actual spirit), letting me know dad was ready to leave his broken body. Maybe you don’t believe in this sort of thing, but it was real. So real. I understood then that dad was not coming back. After that it became incredibly painful to watch Ryan talk to my dad, pleading with him to come back to us. I often had to step out of the room, for my heart was breaking. I understood it was what Ryan needed to do. He wouldn’t have been able to live with himself if he hadn’t tried to get dad back, and he did. He tried with everything he had. One night when Ryan and I were alone, I gently suggested that maybe dad couldn’t come back. What if he wants to, but he can’t? Maybe what he really needs to hear us say is that we love him, and that we are going to take care of each other. We are going to take care of mom. Maybe he is waiting to hear that he doesn’t have to worry. This was hard for me to say, and harder for him to hear. The next day, though, he told me he’d thought about what I had said, and he agreed. So, while we waited for those final tests from the neurologist, we talked to dad. We told him we loved him. We told him if he couldn’t come back, we understood. We would take care of each other. We would take care of mom. We told him not to worry. My mother, brothers and I – we all took different routes, and different amounts of time, to get to the place of acceptance…to the place of reconciling what we knew in our hearts to be true. At some point in our lives, we all must go through the processes of letting go, of grieving, and of beginning again in a new reality. The truth is we really don’t know, until we’re there, how we will navigate a situation we never dared imagine…and there is no wrong way.